Posted on 23 February 2018. Ubüntu — an African word meaning “humanity to others” where people love and embrace each other. It is a universal connection that binds humanity to embrace each other’s uniqueness and bring pride to not just one’s own identity, but also to others. This pushes people to detach from their narrow mindsets and participate in selfless acts to connect with others. The show has been around since 2016 and was called Sankofa before the name change. A lack of diversity of cultures led to ASU refocusing the purpose of the fashion show. “We saw Sankofa as drawing back to the dark past of the African continent, by choosing to look back at the forceful removal of what makes up the diaspora today,” explained Betre. “Changing the name was to draw attention on the beauty of the present African culture.” The organizers felt the allure and glamour of Africa was not emphasized enough last year. ASU wants their focal point to be less about the dark and gloomy perception of Africa and change their focal point to the magnificent cultures of the African diaspora. The show is very important to students who are participating in it, as many have personal connections or want to raise awareness. Many, like Fiona Armoo ’20 — who will be in the choir, the fashion show, the acapella group and the dances — understand the importance of this show for the campus community. “I want the audience to use the show as a doorway to the opening of conversations about the diversity of Africa as a continent and also not seeing participants as estranged people but members of our society that bring diverse perspectives to the table,” Armoo said. Others like Austrella Balley ’21, who will be modeling and singing, said, “Being in the show is important to me because I get to express my culture to people who may have never seen anything like it. It’s a great feeling when you’ve educated someone about something that has a lot of meaning to me.” Every performer has a significant reason to be a part of Ubüntu and wants to convey Africa’s beauty and uniqueness to the audience. Even Nelson Mandela, the first black president of South Africa, used Ubüntu as an underlying concept when addressing the South African response to apartheid. He said, “Ubüntu does not mean that people should not address themselves. The question is, are you going to do so to enable the community around you… to improve? These are the important things in life. 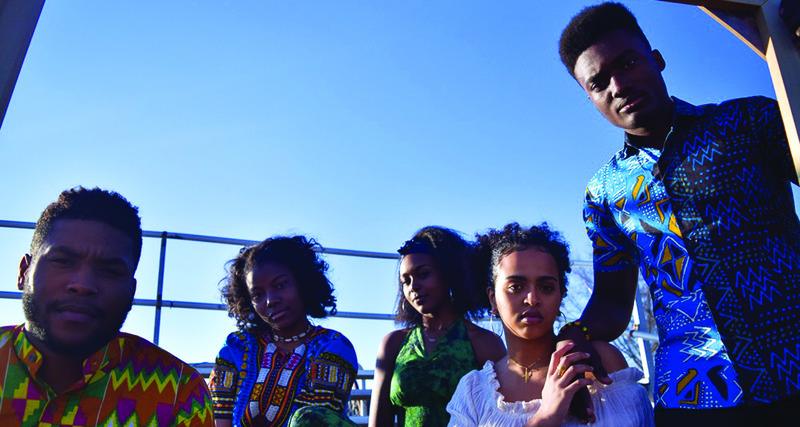 And if one can do that, we’ve got something very important which will be appreciated.” Ubüntu is not just a fashion show, but an embodiment of altruism, caring, community and connection that drives the significance of the word to the African diaspora. Ubüntu will be held tonight, Feb. 23, from 7 p.m. to 9 p. m. in the Gault Schoolhouse Multipurpose Room.